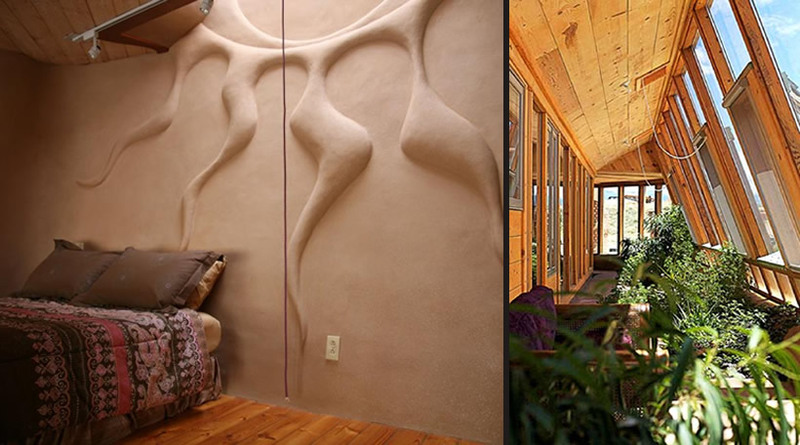 Originally developed by NM architect Michael Reynolds, Earthship Architecture has come along way over the years. The basic premise though remains the same– recycling modern society's discarded natural resources– old tires, soda cans, glass bottles, etc. in order to create durable, inexpensive, and beautiful architecture that is as energy saving, as it is resource efficient. Earthship homes are typically designed to heat and cool themselves, passively using natural ventilation and thermal mass construction techniques to provide stable, comfortable indoor temps. Earthships are generally off-grid structures, minimizing reliance on electricity and fossil fuels. To learn more about Earthship Architecture, go to http://earthship.com.